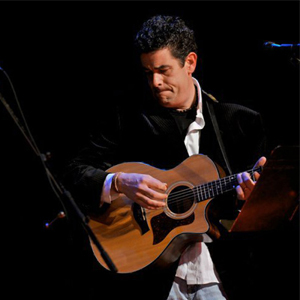 Sean Hennessy has been bringing his love of the music of Ireland to diverse audiences with his voice and guitar for over two decades. A self-taught musician, Sean has performed as a solo artist, band member and band leader with many groups over the years. Raised in a first-generation Irish household, he split his childhood between New Jersey and his mother’s hometown of Dungarvan, in County Waterford, Ireland where he was greatly influenced by his grandfather Jack, a noted local singer and storyteller as well as by the many talented musicians and singers who come from the surrounding area known as The Deise. Sean is also actively involved in the preservation and promotion of traditional Irish culture through Comhaltas Ceoltóirí Éireann of which he is a branch board member for Claddagh na nGael and a regional and provincial delegate. In 2013, he was awarded the Bliain na Cruinne Medal by the North American Province for his efforts on behalf of Comhaltas and traditional Irish music, dance and language. Alison, fiddler for Blackwater, has been performing and teaching Irish and Scottish fiddle and classical violin for thirty years. Originally from Essex, England, Alison trained in classical violin before digging into her Celtic roots during her late teens. 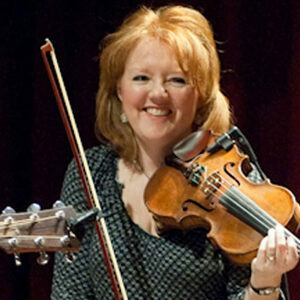 She has since traveled to Ireland several times to study traditional music. She is on the faculty of Moravian College in Bethlehem, PA as an Artist-Lecturer and she directs the Moravian College Celtic Ensemble. She also runs a monthly trad music session at Braveheart Highland Pub in Hellertown, PA, and she is the founder of the long-running Celtic Classic Fiddle Competition held each September as a popular event at the Celtic Highland Games and Festival in Bethlehem, PA. Alison performs and records with Celtic bands Blackwater and Banna Lach, is a frequent workshop technician and ceili musician, and also teaches at the River Valley Waldorf School in Bridgeton, PA, and at her home-based studio in Center Valley, PA.
Al plays tenor banjo, mandolin and bodhran for Blackwater. Al dabbled in bluegrass music before discovering his passion for Irish music in the early ‘90s. Since then he has become a big supporter of the Lehigh Valley’s Celtic music community. A facility manager by day, he also performs with the Celtic group Banna Lach, and is a prominent player at Irish music sessions throughout the region. Al can also be credited with be the original founding impetus behind Blackwater as he was the one who approached Sean & Fionna asking them to sit in on a St. Patrick’s day gig in 1996 which ultimately led to the band’s formation later that year! 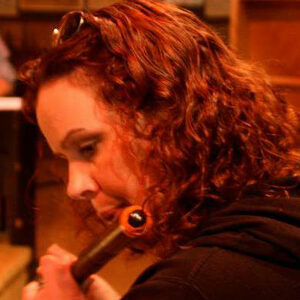 Fionna Hennessy studied at Moravian College’s Music Department where she was a voice major. Growing up with her brother Sean, she was also greatly influenced by her musical grandfather who was widely known for his own singing and storytelling ability. Fionna has been playing the flute and singing since she was a child. Before joining Blackwater, she performed for many years with Sean, in the Balladeers. The familiarity of singing together since childhood and Fionna’s unique ability at harmonization is the key to the bands signature vocal performances. Fionna can also be seen throughout the Lehigh Valley lending her vocal talents to many group and performers across genres including, American Standards, R&B and good old rock & roll. In addition to her musical adventures, Fionna is a talented artist focusing on Celtic themes through, painting, jewelry making, knitting and textiles which she successfully markets under her brand Abuille Art. Tom plays guitar and keyboard and provides back-up vocals for Blackwater. A geologist by profession, Tom also holds a degree in music composition, but his love for folk music was sparked while listening to early Steeleye Span recordings. 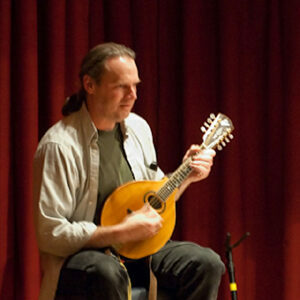 Tom is also a classical guitarist, and a lute player for the Pennsylvania Shakespeare Festival each summer. 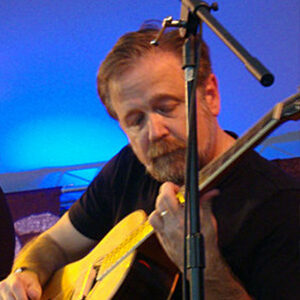 He also performs with the Celtic group Banna Lach.